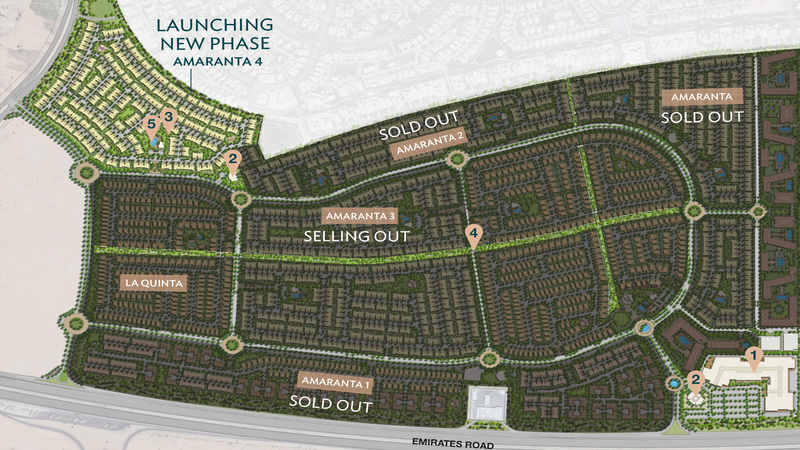 Villanova Amaranta Phase 4 by Dubai Properties features 3, and 4 bedroom premium townhouses in Dubailand. 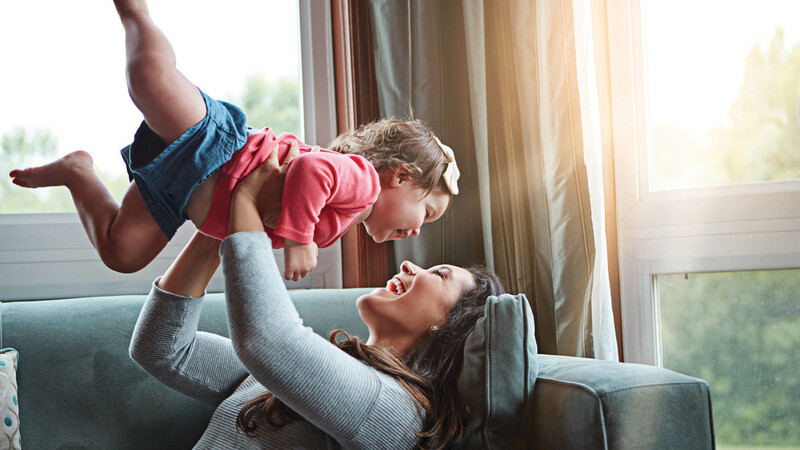 Fresh with the successful launch of Amaranta Phase 3, the developer has initiated a new residential development that captures the real essence of modern comfort, designed purely to suit the needs of a growing family. 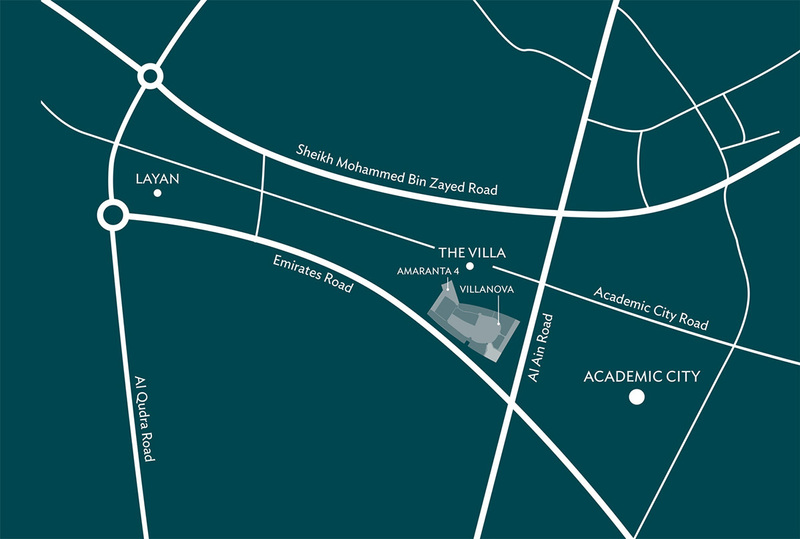 Villanova Community by Dubai Properties is known more for its Amaranta Standalone Villas, Clustered Villas and spacious Townhouses. 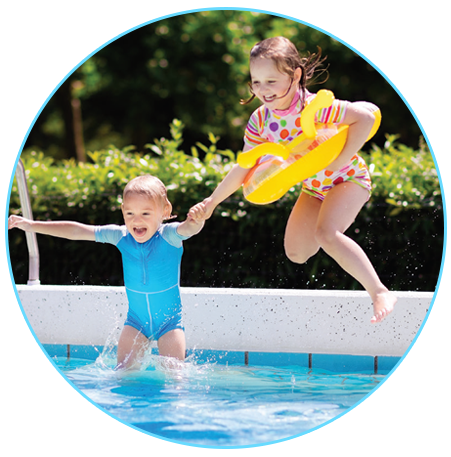 Each of the residential units comes equipped with state of the art amenities and facilities. For the benefit of residents, the project lies in the vicinity of Emirate Road, adjacent to the Al- Ain intersection and Sheikh Mohammed Bin Zayed Road. The Mediterranean inspired townhouses in Villanova Amaranta Phase 4 carries forward the same design element, as its predecessor. Here, elegance is seamlessly merged with sophistication, thus presenting the owners with lifestyle habitats, ideal for nurturing families. As far as the project’s location in South-East of Dubailand is concerned, it is primed to be a destination of choice for the investors and families alike. For a lifetime of opportunities and peaceful environment, Dubai is undoubtedly a preferred destination for many. For the residents, in particular, the majestic bedrooms along with the master suits, built-in -wardrobes and bathrooms, all add to the visual splendour. 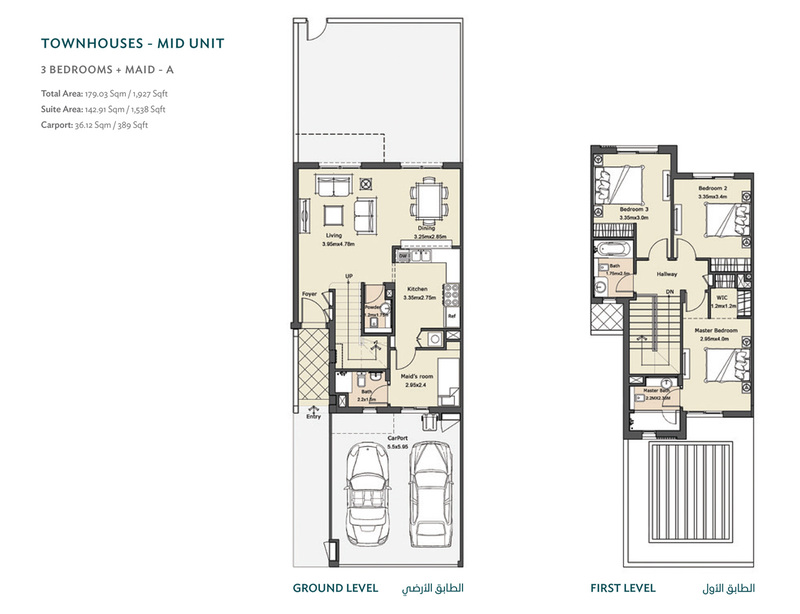 On a similar note, the first- rate townhouses in Phase-4 will have their own carports and gardens. With expectations reaching a zenith in the case of Phase 3, there is a stronger case for similar emotions in the context of Villanova Amaranta Phase 4. As expected, the ultramodern townhouses are bestowed with elements that are more progressive. 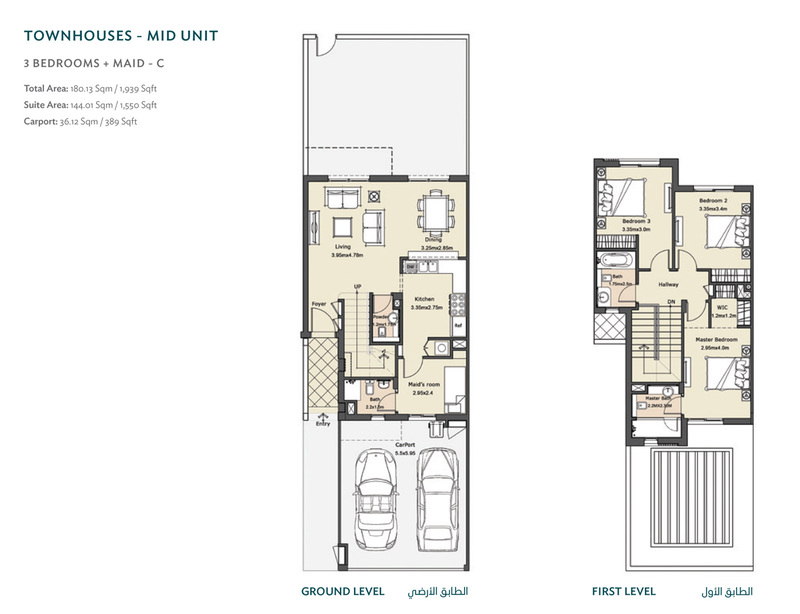 Villanova Community essentially comprises of some fine residential development, the likes of which includes, The Villa, DLRC, Dubai Silicon Oasis, Falcon City and other recreation centres such as Dubai Outlet Mall, Global Village, along with the Academic City, all lie in the vicinity of this ambitious project. When it comes to Villanova, the residents will have access to world-class recreational facilities, green landscapes, walking & biking trails, quaint picnic areas and much more. At the same time, La Quinta Villas stand out on account of their flexible and spacious floor plans. 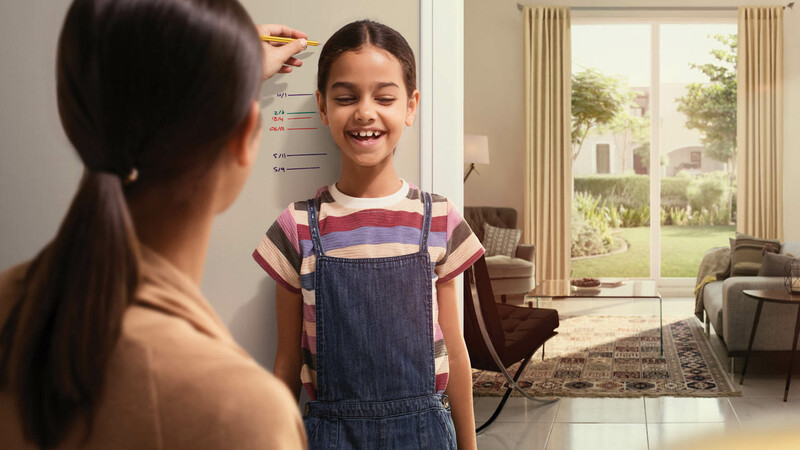 In a way, the basic agenda is to present the residents with homes that come with futuristic amenities and cutting-edge features. Moreover, the bright colours blend with the surroundings and it is quite soothing to the eyes, as well. Given the stronger demand for utility homes that are conceived keeping in mind the needs and preferences of the residents, Villanova Amaranta Phase 4 townhouses will be admired and appreciated by all. The overall concept of bringing families closer to nature and living in a tranquil environment is all set to get a new meaning, from now on. DUBAILAND IS A PLANNED TO ACCOMMODATE MOST OF THE NEW RESIDENTIAL INVESTMENTS IN DUBAI. DUBAILAND IS A MULTIFACETED DISTRICT OF EXCITING SPORTING, ENTERTAINMENT, AND RETAIL DESTINATIONS, INTEGRATED WITH A GROWING VARIETY OF APPEALING RESIDENTIAL COMMUNITIES. THIS UNIQUE COMBINATION OF ATTRACTIONS AND RESIDENCES HAS POSITIONED DUBAILAND AS A REGIONAL AND INTERNATIONAL TOURISM HUB OF THE FUTURE. Villanova Amaranta Phase 4 features and amenities are truly exceptional. 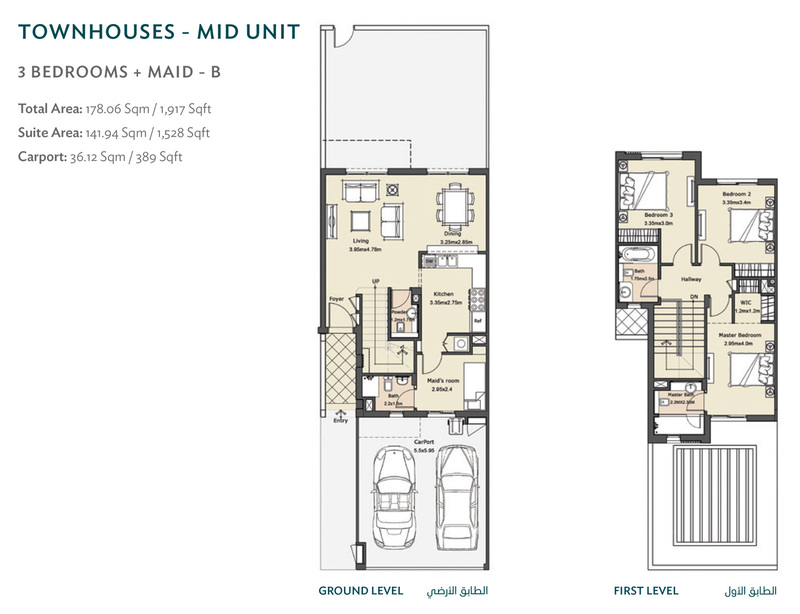 Continuing with the idea of presenting 3, and 4 bedroom townhouses, Dubai Properties has tried incorporating elements that are truly world class. With focus more on providing the families with homes, the multitude of facilities and amenities on offer are spectacular. Villanova Amaranta Phase 4 is master planned in a manner, where the investors and first-time buyers will get great value for money. The district has everything in its disposal, such as, retail outlets, sporting venues and entertainment options, which all add up to the overall hype., thus making a destination of choice, both for residents and tourists. 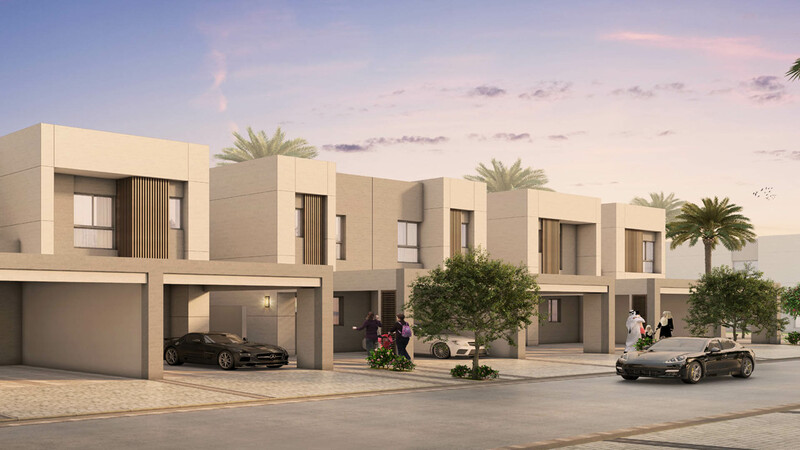 Villanova Amaranta Phase 4 Townhouses are stimulated by Mediterranean architecture and are completely located in a strategic area near numerous activity centers in Dubailand. 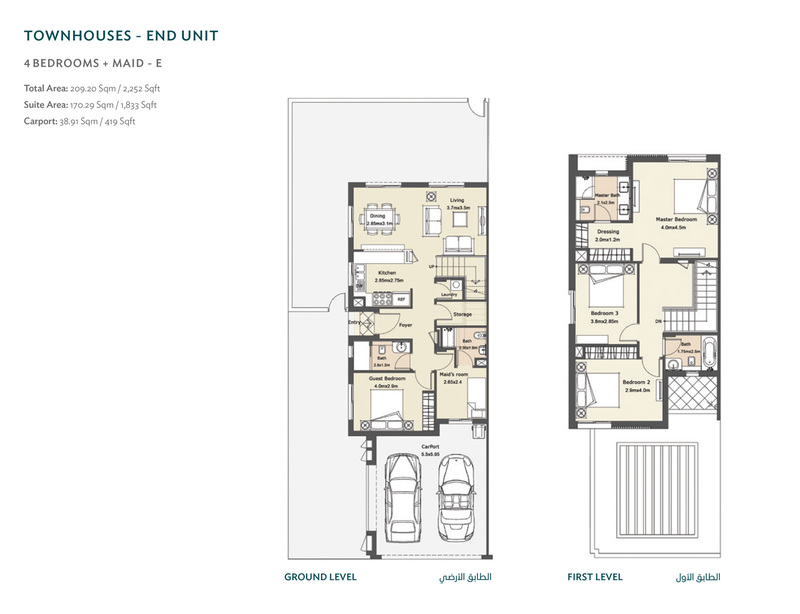 The dwelling is connected to the Emirates Road Highway, a major road network that provides an easy gateway to the city. Tastefully done Villanova Amaranta Phase 4 Payment Plan is attractive and smartly crafted to generate the right vibe. Styled to represent the modern-day ethos, the prospective buyers and investors are required to pay 5% of down payment on the date of purchase, 25% during construction, 20% on handover and the remaining 50% post-handover. By all means, the feasible payment option is considered customer- friendly and this really fits the individual preferences. The feasible payment options and convenient installments make way for those, who want to live in a house of their dreams. Copyrights © 2018 Tanami Properties All Rights Reserved.